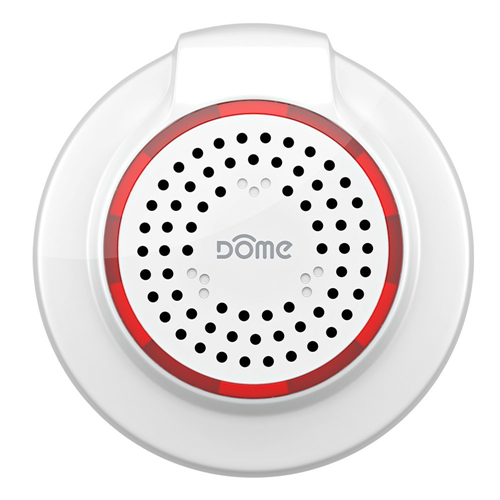 The DMS01 from Dome is a battery-powered siren for use with Z-Wave systems. It comes with three volume levels of up to 105 dB which can be adjusted to suit your needs. 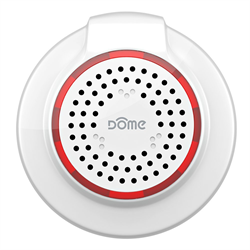 You can pick from up to ten different chime options so that you can have a different alert depending on the event such as mail delivery or doors being opened. It can also be set to remind you if a door has been left open with the help of a Z-Wave door sensor. This siren is Z-Wave Plus certified to permit compatibility with most Z-Wave certified automation controllers such as Vera, SmartThings, HomeSeer, Nexia, etc. allowing for powerful automation that can have it sound when motion is detected in your home and your alarm is set to Away Mode. Z-Wave Plus also means an improved wireless range as well as an improved response time due to an increased bandwidth. 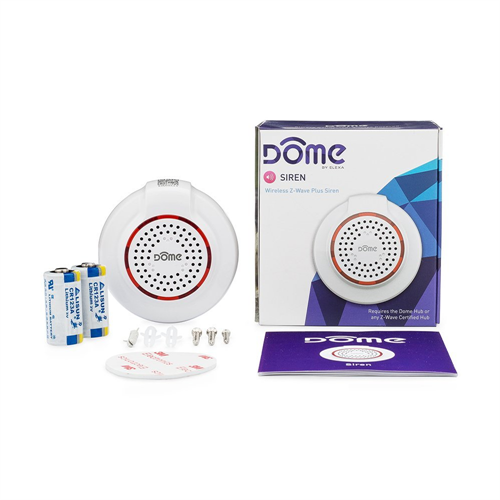 A visual indicator with a built-in LED ring will notify you of any state changes such as if the device is on, sounding an alarm or if it’s connected to the Z-Wave network. It has a 3-year battery lifespan and a low battery indicator for when it’s time to change it. Compatible with SmartThings, Vera, Wink, HomeSeer, Iris, Harmony etc.